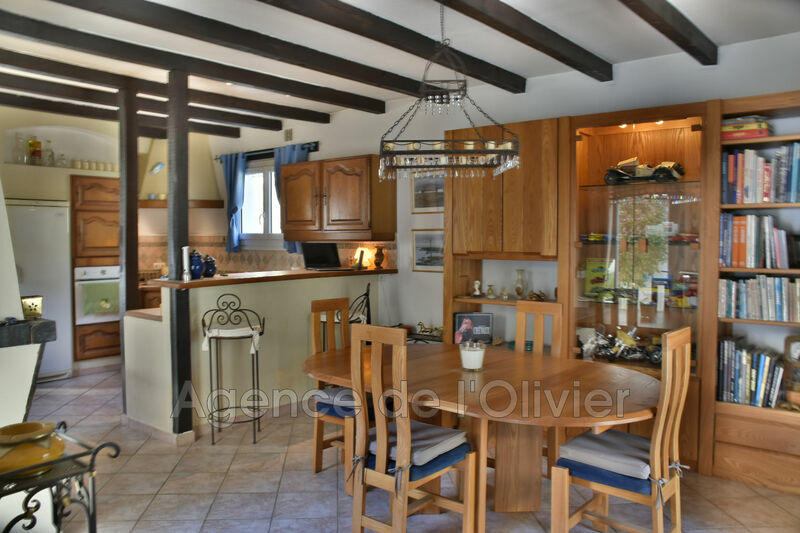 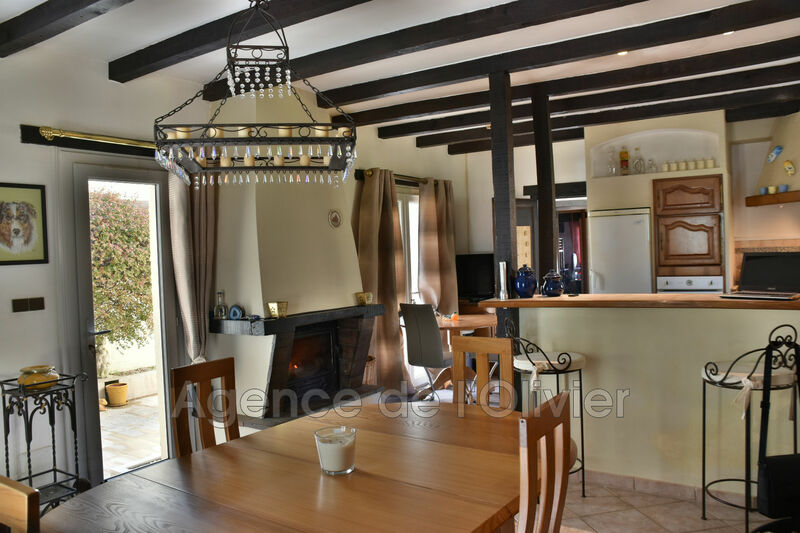 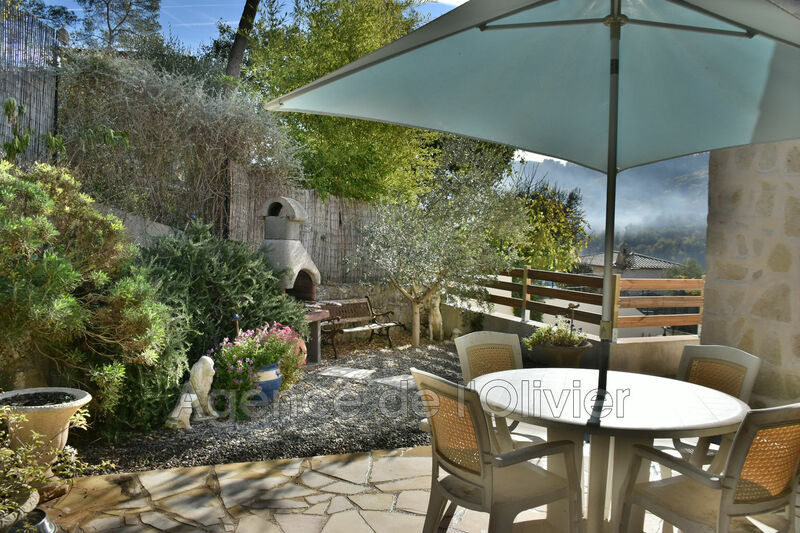 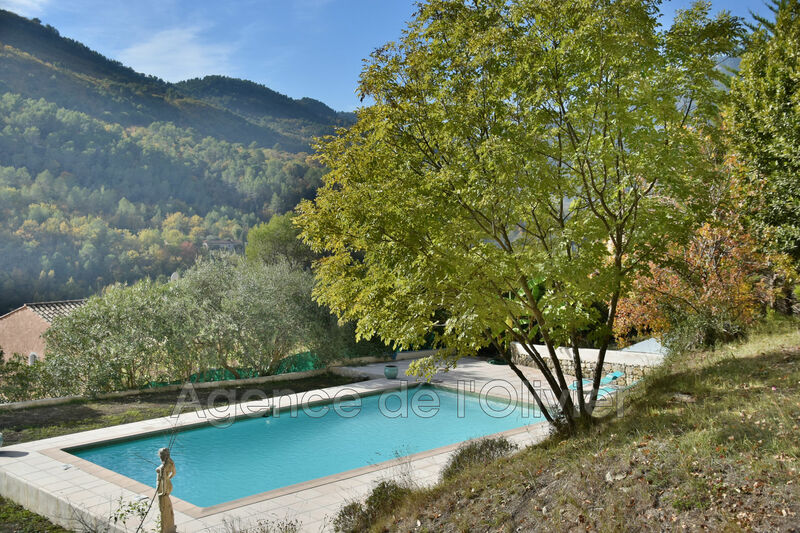 Tourrettes-sur-Loup- Villa for sale - Ideally located at the top of the hill and offering a magnificent view of the Loup valley, this villa will seduce you with its generous volumes. 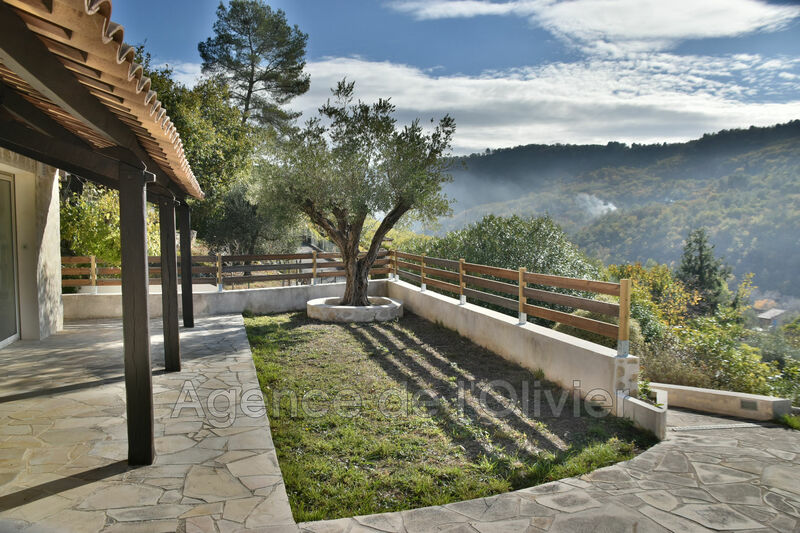 On one level and arranged around a patio, it includes: Entrance, living room with fireplace and mezzanine, large kitchen dining room, master bedroom with complete bathroom, two bedrooms each with ensuite bathroom, office. 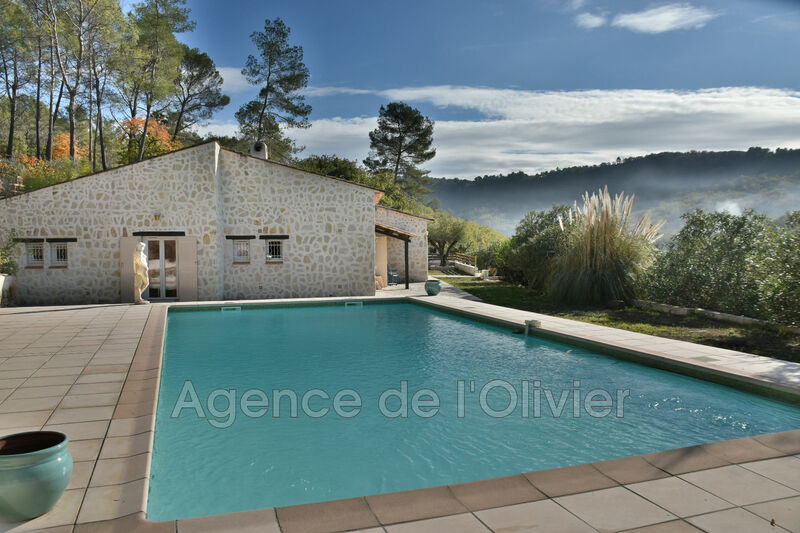 Large plot embellished with a swimming pool (11mx5m) with vast beaches. 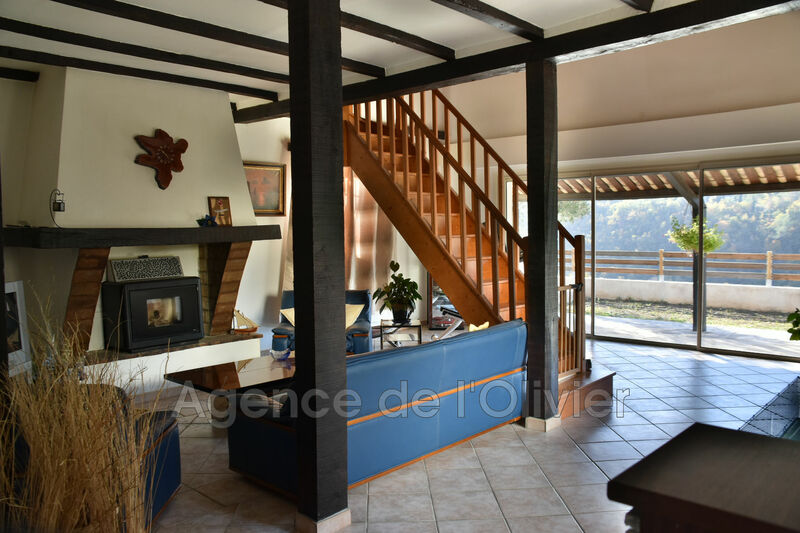 Huge basement/garage (250sqm) with high ceilings offering many possibilities.